Lauren Scharhag: Who are you, writer, and what do you know? Who are you, writer, and what do you know? I was hanging out with a group of poets recently and someone brought up this article they’d read in Harper’s Magazine by Sam Sacks. The article discusses how the Iowa Writers’ Workshop gained prominence following World War II and how working with returning veterans shaped what has become the standard for writing programs in academia—primarily, the workshop model itself. This has been something of a mixed blessing. So much good literature has come from war and soldiers, from The Iliad to Hemingway, to Kurt Vonnegut, Phil Klay and far too many others to mention. The idea that war has shaped the teaching of the craft absolutely makes sense. If you’re a writer, you know the drill (pun certainly intended): the workshop method consists of a circle of writers who share their work and give each other feedback (fostering camaraderie similar to a military unit). Write regularly, meet regularly, set deadlines (apply military discipline to your work). All good so far—if there’s one thing the military knows how to do, it’s train people on how to do stuff, right? Also found within this model are the origins of the conventional writing wisdom find your voice and write what you know. They seem so basic to us now, it’s hard to believe this was ever a concept that needed to be introduced via a college writing program. The thing is, according to Sacks, these old chestnuts were deliberately embedded in the workshop model by administrators who were not only themselves ex-military, but courting donations from entities like the State Department and the CIA. A really good way to get all them rich, pro-military folks to write some big checks was to point out how writing programs helped America. Specifically, how writing programs helped fight communism, fascism, and, presumably, any other –isms that would bring the wolves of the House Un-American Activities Committee to your door. By teaching writing students to find their voice and write what they know, they were encouraging American values like rugged individualism and realism, (y’know, the good –isms). The article goes on to discuss how this, of course, led to a generation of young male writers returning from war to write war memoirs, and how this idea of your writing being firmly rooted in your identity has affected literary culture as a whole. Maybe. I myself have never enrolled in a program like the one in Iowa and I have no interest in pursuing an MFA. It took me thirteen years to get my bachelor’s, working my way off and on through community college, stringing together six credits here, nine there, before transferring to a four-year university and finally finishing out at age thirty-one. Maybe since I was always a working adult as I attended classes, my identity as a writer wasn’t quite so malleable as that of younger students. I’ve been an obsessive reader and writer for as far back as I can remember so I’ve pretty much always had my own ideas about what constitutes good literature. So I guess what I’m trying to say is—if you let a college workshop completely inform your writing and your approach to writing, maybe you’re doing it wrong. Likewise, write what you know is important—it’s usually the best starting point, especially for beginning writers. You are an expert on your experiences, so it allows you to write something with authority. But a writer’s craft should never be shaped by any one thing—not their education, not even their personal experiences. 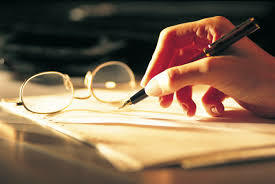 I think a real writer must be continuously forming their own ideas, pursuing their own methods. And I know I’m biased when I say a writer should be trying to imagine lives as different from their own as possible. For me, it’s kinda the whole point—writing allows me to be so many other things than just a poor kid from Kansas City. It’s like Whitman said, “I am large. I contain multitudes.” A writer should contain multitudes. Art is about exploring possibilities, and yes, pushing boundaries. This reminded me of a remark a writer friend of mine made. She has been attending a local writer’s workshop that meets up every week. The participants are almost entirely twentysomething white Midwesterners, and she has bemoaned, on more than one occasion, how tired she is of reading short stories and plays about the trials and tribulations of young twentysomethings adrift in flyover country. Again, as writers, we should be opening ourselves up to being something other than our personal circumstances. Something else that I find problematic about this whole subject is how it pretty much dismisses genre material altogether—where would we be without science-fiction and fantasy? Without horror? Without fairy tales? Without mysteries? What if someone had told Jules Verne he should stick to writing what he knew? It has long been an attitude of academia and the literary establishment that genre books are not “serious” literature. Thankfully, I think that attitude is changing. Throughout my lifetime, we have also been in a paradigm shift involving diversity—young men returning from war are no longer the dominant force in college classrooms. The Internet and self-publishing have given a voice to so many writers who at any other time in history would have been voiceless. It will be interesting to see how these changes will affect not only writing itself, but the teaching of writing. I like that you brought up the fact that Genre books have not been considered "serious literature" among the academia. When I was an English Major in college, my literature teachers made fun of romance novels, so I never read them. I have only started reading them this year and I am 60. It's a guilty pleasure. Plus I love mysteries, another genre that wasn't taught.